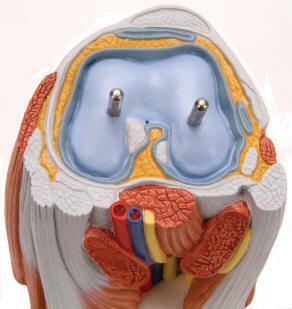 A unique feature of this life-size removable leg is a cross section through the knee for viewing this amazing joint. The gastrocnemius muscle can be removed. Supplied on a detachable base. 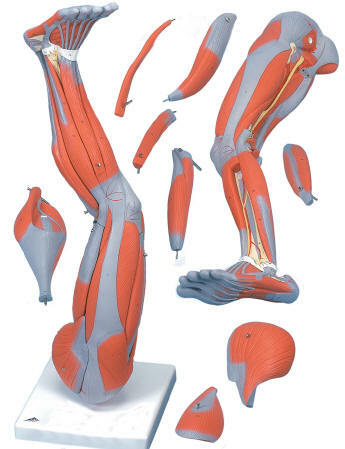 This life-size model can be disassembled into upper and lower leg. The following muscles can be detached: Sartorius muscle, Gluteus maximus muscle, rectus femoris muscle, long head of biceps femoris muscle with semitendinous muscles, and gastrocnemius muscles. Comes with a removable base. . 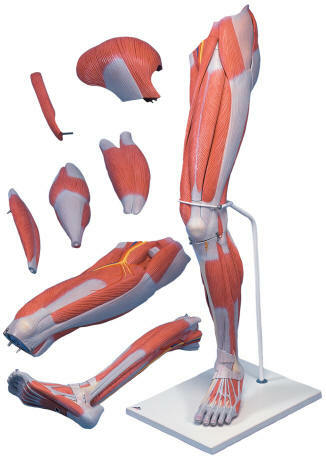 This life-size model illustrates the superficial and deeper muscles, eight of which are removable. 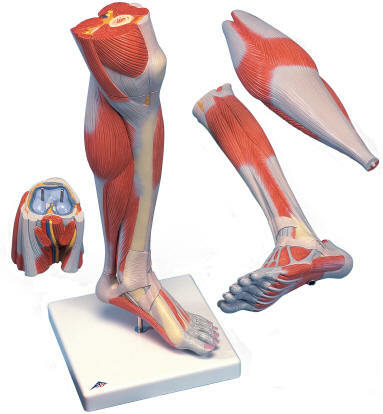 Tendons, vessels, nerves and bone components of the left leg and foot are shown in great detail. Parts are numbered. Comes with a removable stand.